The time when WordPress was used mainly as a blog engine has passed and WordPress has become one of the most powerful Content Management Systems on the web because of using custom post fields. Custom post types allows flexibility and give enormous power to WordPress. Usually, we use custom post types with built-in fields like excerpt, content editor, thumbnail etc. But often, we need some special type of fields for dealing with customer wishes like date picker, relationships, file upload etc. This is where Advanced Custom Fields plugin comes in. Advanced Custom Fields Plugin provides a simple to use interface allowing you to create, edit, reorder and completely customize your edit screens. With Advanced Custom Fields Plugin it is not only possible to create new fields, but to hide WordPress’s default fields as well. Advanced Custom Fields also lets you decide what other fields are available on the page. 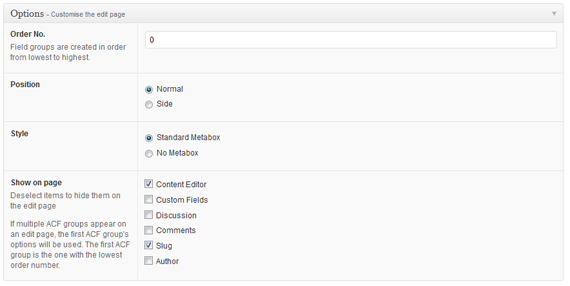 So you can remove the Content Editor, Slug, Author etc and control that and you new fields all from one place. More about the API can be read on Plugin’s official documentation page. Now, you may think that all this is enough. Well, for an average developer it should be. But, if you want to make some really cool types of fields, you can. That is the beauty of this powerful plugin. I am going to show you how easy it is to make your own custom post field on a real life example. At the end of this tutorial, you can download custom post field type shown here. Your customer wants to enter Events into WordPress and wants to select a location of the event by simply clicking on Google Map. Save functions.php and go to WordPress admin dashboard. You will see newly created Custom Post type in the left hand menu. Wow, that was easy. If you go to Add Event page now, you should see that you can now pick an event date and enter a time. Wow, that was really easy. Now comes the hard part. Author of this great plugin has made our lives easier and give us a Class template for making our own custom field types for ACF. Download it here, unpack it and place it inside your active theme. I prefer to create a fields folder in my theme’s root and put this template in it. This function will register our field in the ACF. It has 2 parameters, the first is our Class name and the second is the path to the Class file. Next thing we are going to do is create our Latitude and Longitude field that will be shown on edit screen and populated with values from Google Map. Save this file and go add Location field to field group inside ACF settings and Update. Now, go to entering new Event and you will see our Location text field. Everything is working, field gets saved to database. Basically, we recreated the text field. Next task is to add a Google Map and some Google Map API, so when the user clicks on the map, we will get the Latitude and Longitude of that point and fill our Location field with it. // only one marker on the map! There is plenty of comments above in the code, so everything is self explanatory. When you go to add new Event, you will now see a Google Map below your Location field. When you click on a map, Lat and Long coordinates will be filled into your Location field. You can even drag a marker on a map to change the location! How cool is that? Now, all we have to do is to show this Event in our theme, along with a Google Map. Actually, it is very easy to show the coordinates we entered in our event in the theme. Advanced Custom Fields has a great API for that. Or, you can make a page with events and one map that will show all your events. What ever you want, is achievable now. 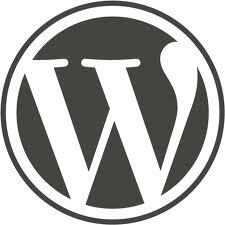 WordPress is a very powerful tool and stuff described above, makes it even more powerful. Your imagination is the limit. Don’t hesitate to share your thoughts or ask a question below. EXACTLY what i was looking for, great tuorial saved me hours of digging apart the core folder! I’m quite new in WordPress, and it was really interesting to know, what it’s possible to do such stuff. Normally, I used Drupal for such projects, but this technique pretty impressed me. Just it seems what You forgot to show in Your create_field method. Thank You very much Zvonko for this great tutorial. Thanks Fedir, I added the div to create_field function. Thanks, this is a great post! I am wondering, do you know if it is possible to avoid programming and use just plugins for creating (registering) the new types? The purpose is explained here: What I wanted is to create a new theme based on this plugin (to show Events for example) but only for certain post types that users can create on demand (ie: Events or Listings). What I really wanted is to avoid that the user need to edit functions.php – Know what I mean? Well, I am trying to answer myself, I think something like Custom Post Type U plugin in conjunction with ACF will do it. Ok, yes. It worked. I was able to create post types using the plugin Custom Post Types UI, and then I linked these custom post types with the ACF (Advanced Custom Fields). For the maps, I think I will try your approach combined with the MapPress plugin. Julian, I am glad you found the answer. Custom Post Type UI is great plugin to achieve something like that. Awesome job on the field. It’s exiting to see the public responding so well to the register_field functionality. Your field would be a great first addition to the site. I will submit my field to your website today. I updated above code and the one in the download and all is fixed now. i have installed ACF plugin and it is really good, but i have a question. I’ve created custom field with 3 radio buttons and default value “0”. Now i need to assign to all of my posts (total 540) default value 0. I thought that the plugin will write into the database that all my posts have this default value, but i see now that i would have to enter every post and update them manually so that it gets written into the database. Is there some easier solution for this? When you retrive your new fields, they will be empty and the function get_field() will return false. I did write the script for query and it’s working. The problem is that my existing posts are not showing up, because in posts_meta table there are no values from the custom field i created using the plugin. Do you know any way how to insert this default value in the WP database so that i don’t have to go into every post just to click on “Update” button? This extension is a FANTASTIC add-on. However, I’m VERY confident that my client isn’t capable of researching the latitude/longitude. I know that she’d also get frustrated at the idea of having to zoom down into a map to determine the location- especially when most of her classes are repeating at the same venues. Is there a way to simply use an inputted address field with Street/City/State to pull the Google Maps? 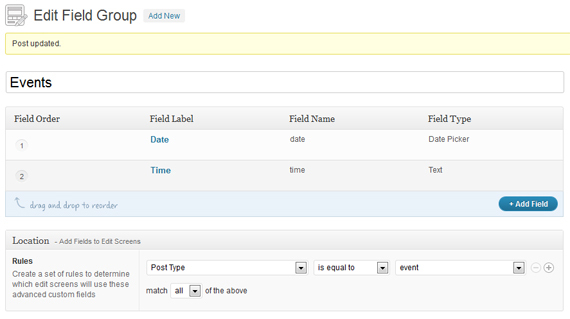 I intend to extend the field in a couple of days, so you will be able to search location by user input. Enormous thanks Zvonko for such a wonderful plugin – a very useful and constructive extension of Advanced Custom Fields. I’ve not yet set it up, but in having just downloaded the file from the ACF’s great Add-ons section I thought I should mention the function code you’ve included there is missing a closing parenthesis after (‘register-field’). Now to follow your instructions here … with eagerness. This is by far the best WordPress tutorial I’ve read so far. Thanks for tutorial! Funny fact is, i came here by accident. I was looking for a solution to work with Advanced custom fields on custom post types. I needed it to build some kind of Events back-end manager. Later on I scrolled down and saw the Google maps tutorial wich was gold!!!! Thanks, I am glad that you found it useful. This is pretty awesome. I’m still trying to process every line of code and see how to use 1 map with multiple markers and also include a “search by zipcode” with a 5, 10, 15, 20 mile radius. Great stuff. Really well done. I’d like to add my voice to those asking for a textual search. Would be great to type in an address and get the corresponding map. Great addition to an already great plugin. Keep up the great work. Definitely a worthy of use.